There are many candidates who do not know what to do when they are going for a psychometric test analysis before getting hired for a company. It is important for the candidates to understand the things which govern every psychometric test, and it can ultimately help them get an idea of the things to do while giving the examination. Every psychometric analysis is totally based on the performance of candidates in different fields which include general abilities, thinking skills, understanding abilities, and the subject of expertise for the job. With all these things checked perfectly and when the results are analysed and compared with the resume, the candidates are offered their position in the company. 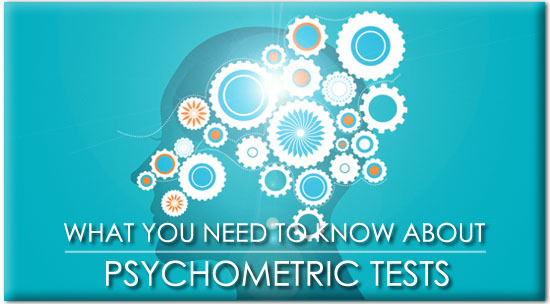 Every psychometric test is different in characteristics because of the differences in subjects to be prepared. The difference is there because of the position for which the candidates are looking for. Every psychometric test at first tests the skills of a candidate dealing with different kind of situations giving them situation based problems. 1. Every psychometric test process is directly associated with mental abilities and therefore with a better knowledge one must develop a strong thinking and better abilities to stick to their ideas. It is very important to have a singular approach towards all the questions given in the questionnaire so that a person is not in the dilemma while answering. This comes with an increasing focus on anything that a person does. 2. Then comes the analysis of thinking skills. In certain situation based question given to the candidates, they need to have a proper thinking ability to understand and react in the right way showing higher order thinking skills. The answers differ among candidates and this difference in answer shows the differences in mind-set and proves the better qualities in them like leadership qualities and team management. 3. Then comes the place of being sure about answering. A high number of wrong answers create a negative image about the candidate in the minds of the employers and thus it is better not to answer all questions if not know the answer to. Luck does not favour always for any candidate and so depending on luck for a better score is nothing but a mere foolishness. 4. Staying totally oriented to the technicality of the test and bringing out the best by being in focus, this is more important than just the common knowledge. These are basic things one should keep in mind and carry out during their psychometric test and only then they can perform well. Being the best in everything does not always require a good memory, but a better understanding of everything being taught so that they can be implemented in real life whenever required.